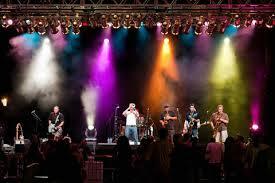 Enjoy Three Rivers Festival - Fort Wayne's favorite summer party since 1969! Enjoy Three Rivers Festival - Fort Wayne&apos;s favorite summer party since 1969! 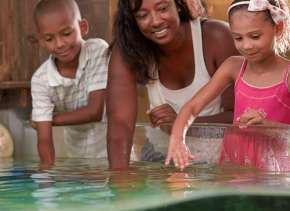 Posted on June 30, 2015 at 4:01:00 am by Katie R.
Chances are, if you were born and raised in Fort Wayne many of your most prized childhood summer memories took place at the annual Three Rivers Festival. If you&apos;ve never been to the festival, get ready to experience the best summer festival in Fort Wayne - if I do say so myself! The annual Three Rivers Festival runs from July 10-18 and has given me tons of memories throughout the years. I remember waking up at the crack of dawn to wake up my parents so we could find the perfect spot along the Three Rivers Festival parade route, and I was always sure we stopped by one of the many street vendors to purchase some ridiculous parade garb that probably lit up and broke 4 hours later. My mom and I have a tradition of perusing Art in the Park while stopping by "Junk" Food Alley and getting one of everything to share. 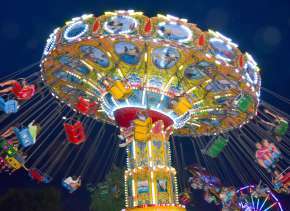 I can even remember when there used to be a huge midway attached to the festival in the parking lot of the Memorial Coliseum and nearly getting sick on all of the spinning rides, but insisting I go just one more time even though I was probably green. 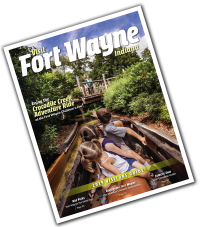 Whether you&apos;re a TRF veteran like myself, or a newbie looking for all of the great things you can enjoy during the festival, here are some highlights to get you excited for Fort Wayne&apos;s favorite summer party since 1969! This year&apos;s Three River&apos;s Festival Parade celebrates the 50th birthday of another Fort Wayne icon, the Fort Wayne Children&apos;s Zoo, with the theme "Here&apos;s to Zoo!" It seems that the parade grows each year with more and more businesses and groups wanting to participate and show off their creativity! The TRF Parade holds a special place in my heart. Many of my earliest Three Rivers Festival memories are of heading down to the parade with my family and watching anxiously with my brothers as all of the colorful floats came through the parade route! One year Disney came to the TRF Parade and I got to walk in it as a flower child for a Peter Pan float! 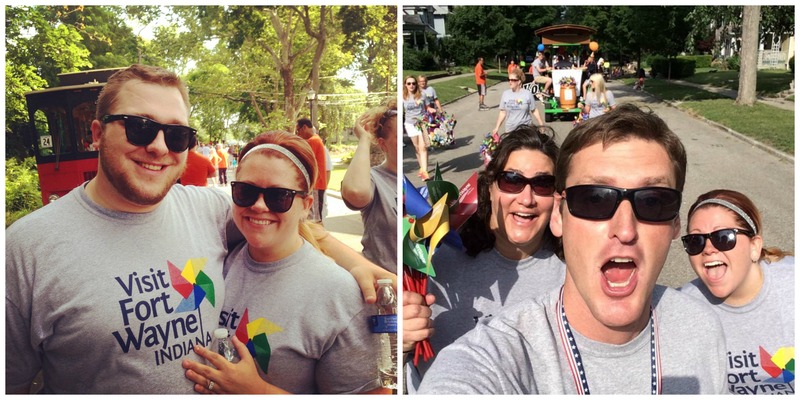 As an adult, I have walked in the parade going on three years now. 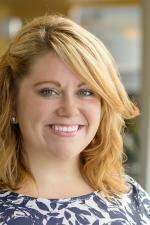 Twice with Visit Fort Wayne and this year with Fort Wayne International Airport! It&apos;s a great tradition and it&apos;s so fun to see all of the families along the parade route out enjoying the parade like I used to many years ago! I&apos;m linking these two together because they tend to go hand-in-hand. Both of these great TRF events occur throughout the first weekend of the festival, and are both extremely popular! 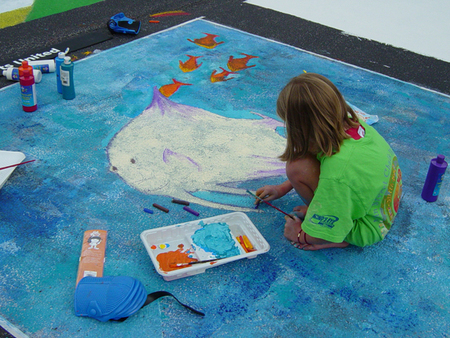 Chalk Walk has continued to grow each and every year, and I am always blown away by some of the amazing artists that come out to show off their chalk creations. It&apos;s easy to spend a good chunk of time walking up and down the stretch of Main Street admiring these works of art that seem to jump off of the pavement. It&apos;s hard to believe that they are just chalk! Art in the Park is a personal favorite of mine and something I hit each and every year. Over 100 artisans take part each year in this juried art show featuring a little something for everyone. I love walking through Main Street and Freimann Square looking at the booths of elegant paintings and fun handmade jewelry, and many times I find a little something to buy too! The Three Rivers Festival knows how to put on a good show and always seems to have a wide range of musical acts on their concert line-up each and every year. This year is no exception! The Three Rivers Festival stage will welcome Loverboy, The Summerland Tour (American Hi-Fi, Everclear, Fuel and Toadies), STAR Music Stage 2015 (About a Mile, Moriah Peters, Building 429 and KJ-52), Cougar Hunter, Fort Wayne Funk Orchestra, Brother, Summit City Rising (Oferle, Alex Renbarger, Fernando Tarango and The Wickersham Bros.), B96.9 Heart and Soul Affair (Ty Causey, Chris Worth, Last Call and Music Lovers Lounge), KC and the Sunshine Band, The Freak Brothers and Pink Droyd. Tickets to all of these great concerts are on sale now through Ticketmaster. Have more than one show that you want to check out? Purchase a Music Mega Pass through the Embassy Theatre! The Bed Race and Raft Race have pulled away from the crowd as two of the "can&apos;t miss" events during the festival. Thousands of people turn out to watch the famous TRF Bed Races each year! 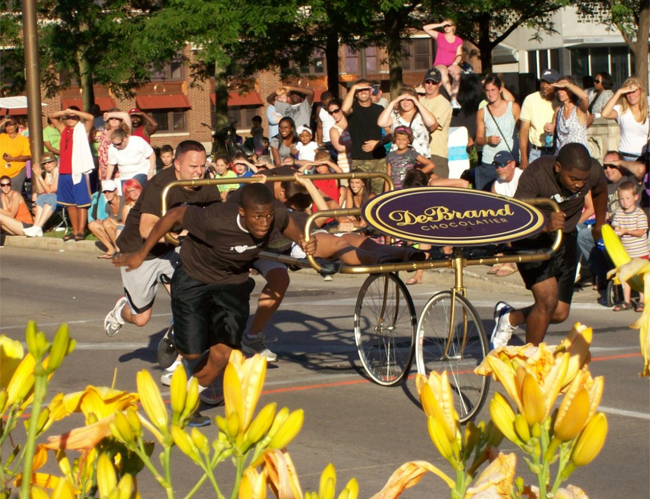 Wondering what a bed race is? Kind of what it sounds like. Each team is made up of 5 people who create a unique bed, and then literally run the bed down Main Street! All of the teams get really into it, and you&apos;ll see all kinds of crafty and creatively designed beds. The Raft Race is a fan-favorite that returned to last year&apos;s festival after a long hiatus. Teams are challenged to build (or rent), decorate and race their own unique raft on the river! I didn&apos;t get a chance to catch this event last year, but I&apos;m hoping to make it down for it this year (and maybe even participate)! This is a TRF staple and what a lot of people come downtown to the festival for! There are always all kinds of crazy festival concoctions to be found, along with some tried and true favorites. My friends and I have a tradition of coming downtown one week night during the festival and having "dinner" at Junk Food Alley. 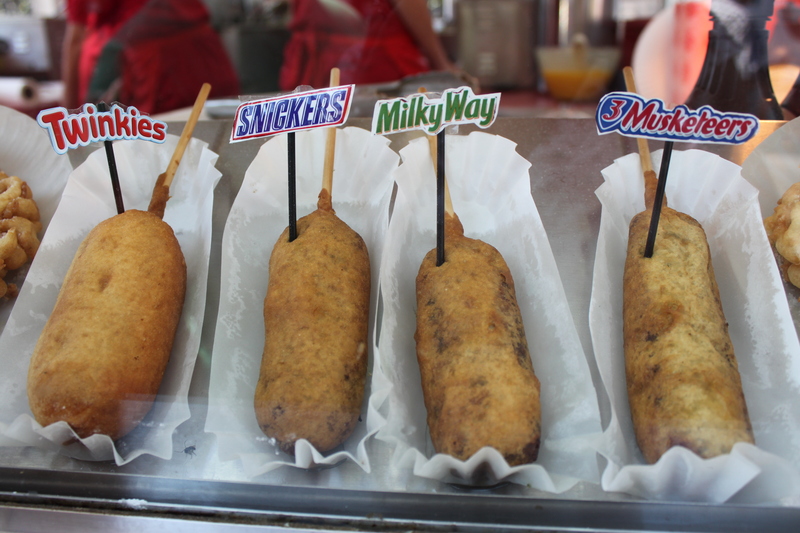 We all buy a couple of things that sound good to us ranging from the relatively normal (pulled pork) to the outlandishly unhealthy (deep fried candy bars anyone?!) and have a smorgasbord! I have to say that the beginning and the end of the Three Rivers Festival are two of my favorite days. This is THE fireworks display to see in Fort Wayne! 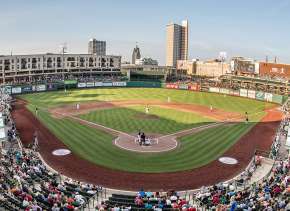 The fireworks are launched off of the top of Fort Wayne&apos;s tallest building, the Indiana Michigan Power Center, making it easy to see the sky light up for miles. I love stopping by Junk Food Alley one last time for my favorite treat and then sprawling out on a blanket under the stars waiting for the show to start! 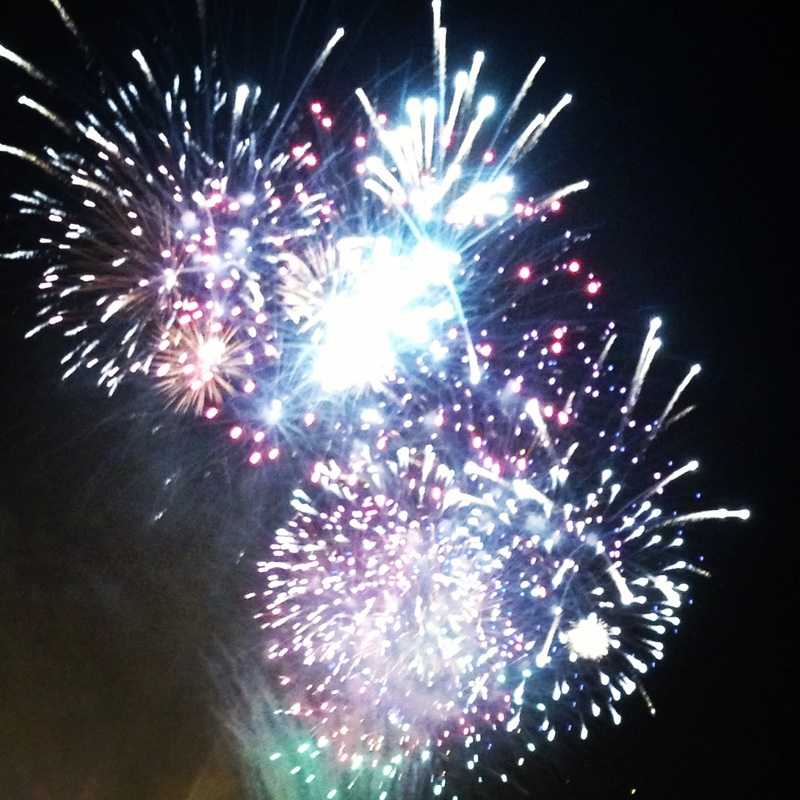 Camping out for the TRF fireworks is a big tradition for a lot of people, so if you plan on coming down for the fireworks, plan on coming a couple of hours early for one last festival visit and to scope out your spot. You&apos;ll see lots of friends and families hanging out, eating food and playing games all around downtown while they wait for the show to start! Believe it or not, there are SO MANY other amazing events that take place during Three Rivers Festival that I could truly keep going on and on and I&apos;m sure some of you are already thinking this post is too long. Just a few others that come to mind are the Waiter/Waitress Competition, Luscious Legs, International Village and the Downtown Midway. The majority of Three Rivers Festival events take place in downtown Fort Wayne, with the center of the festival being at Headwaters Park. 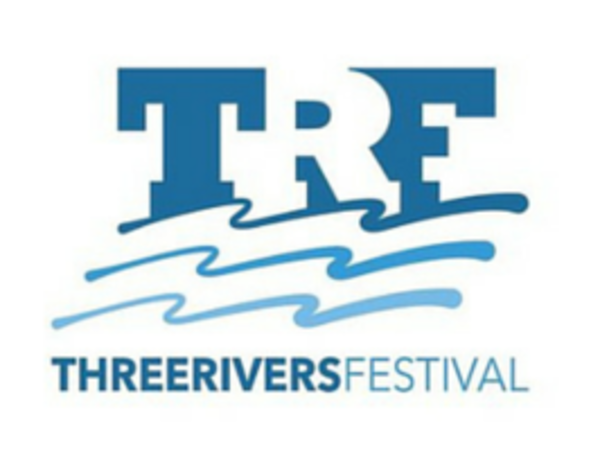 You can find the full listing of TRF events, as well as individual event locations at Visit Fort Wayne, or the Three Rivers Festival website!